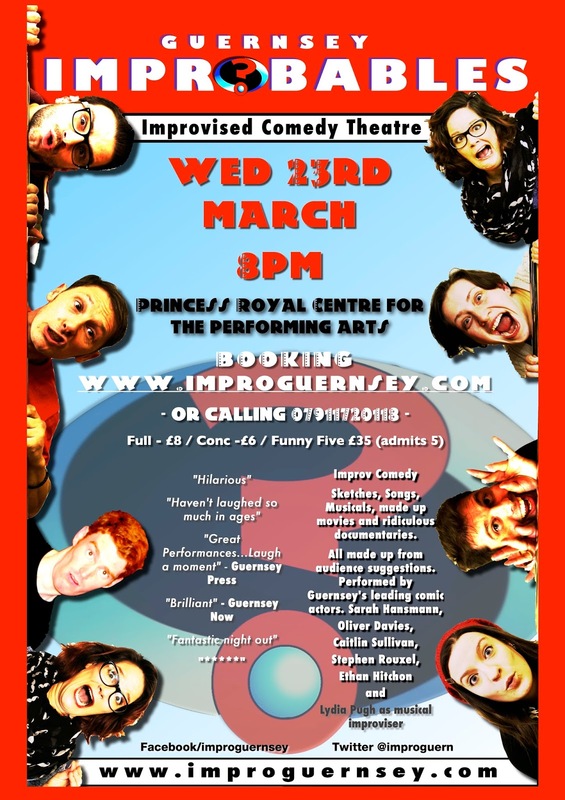 Join us on Wednesday 11th of May 8pm at the Princess Royal Centre for the Performing Arts for Guernsey Improbables improv comedy show. This will be the last time for the near future to watch Sarah improvise as she will be hanging up her improv boots to take up her position as a Deputy. After our fabulous sold out show in December (a snippet can be seen here ) we're back at the Princess Royal Centre for the Performing Arts on Wednesday 23rd of March. Performing our own improv format called 'Fluff or Forfeit' which involves the same audience suggestions played out but with the twist that the audience decides at the end if the actors played to the rules and if not the director has to perform a forfeit. After 2 years of ridiculously low price of £6, we've bowed to economic pressures and brought ticket prices up to £8. 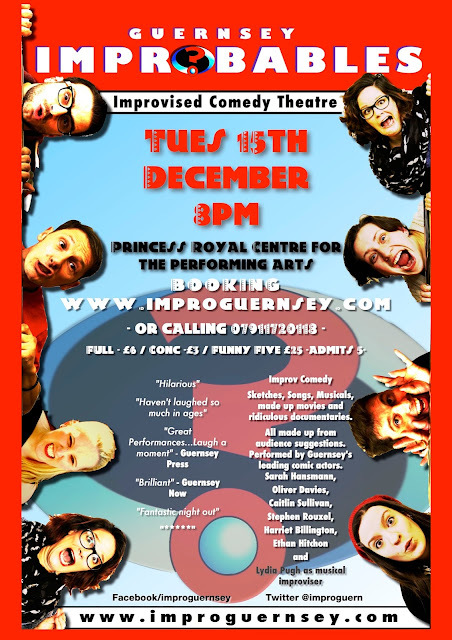 Our funny five offer is now £35 for 5 tickets and Student/conc tickets £6. Announcing our final show of the year at a new venue. Tuesday the 15th of December at the Princess Royal Centre for the Performing Arts, 8pm. Doors open at 7:30 and there will be a bar available. The new course has started and again I'm thrilled at the new improv explorers who have chosen to try something new. It's a pleasure to introduce players to the endless enjoyment of improv. What's always interesting is hearing people's reasons for joining the course. 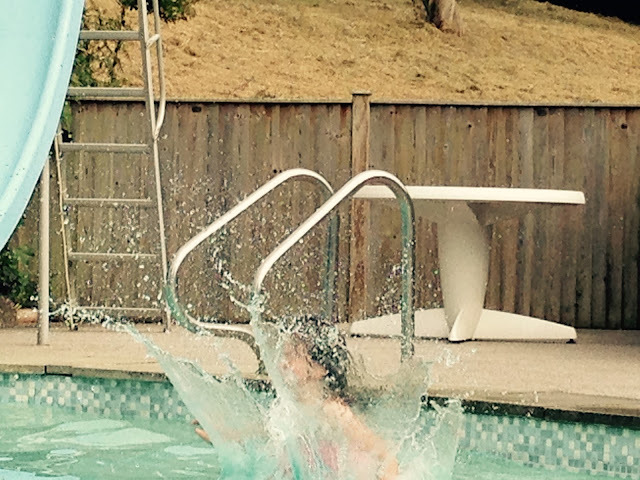 Whatever their reasons, they are all taking that leap together and splashing about in the ocean of impro fun. 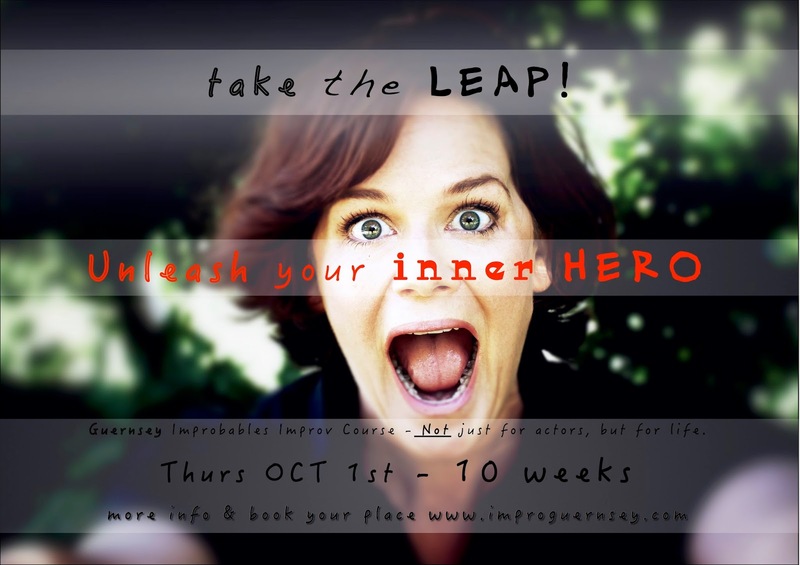 A new course starting 1st of October! 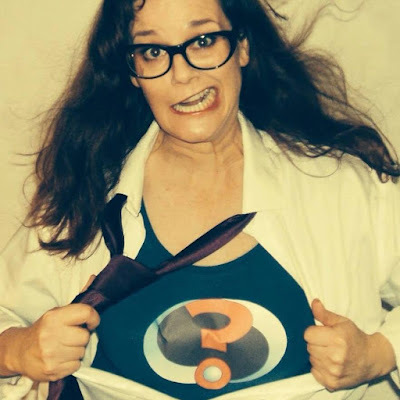 Unleash your inner HERO improv course run by improv veteran Sarah Hansmann who has recently worked with Keith Johnston in London and has lots of new and exciting lessons from the master himself. The course runs over 10 sessions with an optional performance at the end of the course. Our next show will be Wednesday the 29th of July 8pm at the Fermain Tavern. We're celebrating summer with some special summer themed forfeits from FLUFF or FORFEIT! 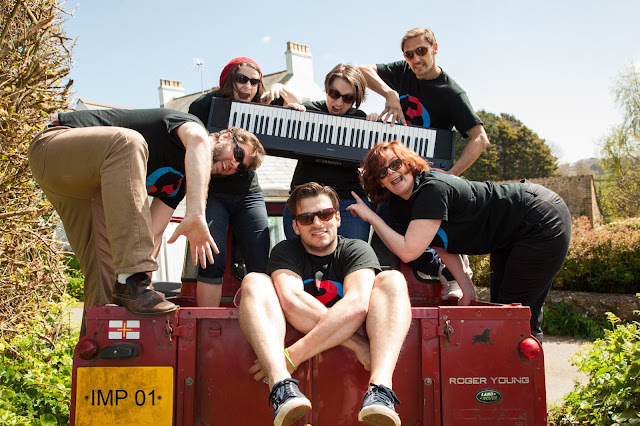 Bring your friendlies for our FUNNY FIVE offer (5 tickets for £25) or £6 each. Friday's Double Bill of Fun!